Sometimes legal teams can hit a wall and need inspiration to develop new ideas or approaches. This can simply be the generation of ideas or teaching the ability to think outside of the box. 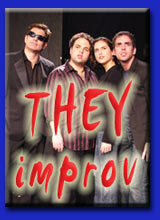 THEY improv provides a variety of brainstorming options to help generate new ideas and getting the brains flowing. Bringing people in from the outside to reinvigorate a group has long proven itself as a way to produce successful results. 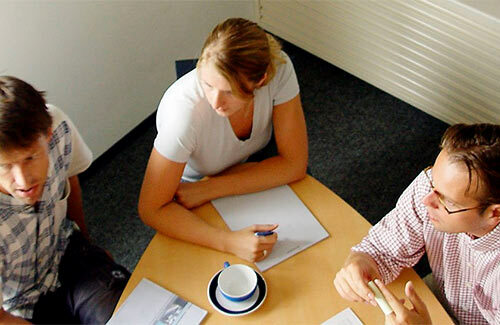 Simply contact THEY improv to learn how we can help you achieve your goals through a variety of legal role playing techniques. Developing the skills required for being a quality attorney takes a lot more than is taught in law school. Sometimes attorneys are confronted with a situation and the ideas are simply not flowing. This may mean bringing people from the outside to prime the pump and get things going again. Throwing ideas around can be a daunting task. We can provide creative people with new perspectives to help this process or to teach your attorneys how to be more creative themselves. Likewise, these players can take on more specific roles to come up with ideas from a particular type of person's perspective. Our actors are capable of looking at things through the eyes of someone else. Get us started and we'll generate ideas. Whether or not the ideas are actually what you are looking for, these ideas may serve as inspiration to get your own idea generation back on track. After all, our actors are usually not attorneys. We are probably not going to come up with the perfect strategy for you. That being said, something that was covered in our brainstorming may inspire you to take a new direction that may lead to that right answer. Contact us today and find out how we might be able to come in and inspire your team in new and unexpected ways. After all, the importance of the case at hand needs you to pull at every string and leave no rock un-turned over. Let THEY improv help your team look beyond the ordinary.